Conductive hearing loss is the result of sound being blocked in either your middle ear or ear canal. The normal hearing process involves a seamless interaction between various nerves, bones, cartilage, and the twists of the Eustachian tube. When one of these components is compromised, it can significantly affect your ability to process sounds and often results in hearing loss. With conductive hearing loss, the passage of sound is blocked because of damaged anatomical structures or blockages in your middle ear, ear canal, or outer ear. Those suffering from conductive hearing loss often experience reduced sound levels that can be comparable to the effect of wearing headphones or earplugs. Simply put, ordinary sounds are softened, and soft sounds may become inaudible. However, at North Shore Hearing P.C., we offer treatments and solutions to help restore your ability to experience your world. Continue reading to learn more about conductive hearing loss and how North Shore Hearing P.C. can help. Just like a conductor on a train attempting to facilitate the movement of passengers to a specific destination, the ear attempts to move sound through the outer, middle, and inner ear to reach the final destination of the cochlear nerve. The cochlear nerve then transmits the audio information to the brain. When any of these potential disruptions occur, it can cause conductive hearing loss. Those suffering from conductive hearing loss will find softer sounds harder to hear at both high and low pitches. How to Diagnose Conductive Hearing Loss? 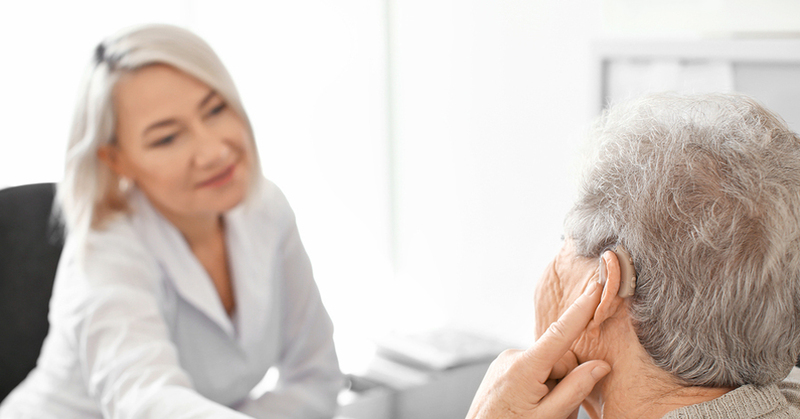 Conductive hearing loss can be caused by a number of conditions and factors. Because of this, it's imperative to have a proper diagnosis of your diminished hearing by an experienced audiologist. At North Shore Hearing P.C., we'll utilize one of the following tests to help us determine the causes of your hearing loss and whether it's from conductive issues. Tympanograms are designed to measure the oscillation of the eardrum. If the middle ear and external ear have the same amount of pressure, the eardrum will oscillate normally. If the pressures levels are unequal, the oscillation is altered. Weber tests involve a tuning fork being placed in the middle of the forehead region and struck. If one ear hears the sound better than the other, it may point to conductive distortions. Rinne tests involve using a tuning fork being struck behind the ear and then moved near the ear canal. Conductive problems can be indicated based on how long a person can hear the tone behind the ear and next to the ear opening. Pure-tone audiometry tests are what most people think of as a standard "hearing test". It involves wearing headphones or sitting in a sound booth and requires you to signal when you hear sounds in each ear. While hearing loss can be genetic, caused by growing older, caused by certain types of diseases, or caused by ear injuries, most types of hearing loss can be corrected through treatment at North Shore Hearing P.C.